The Malpensa Express Train runs from Terminal 1 and Terminal 2 at Malpensa Airport and can be easily reached from Terminal 2 by a frequent shuttle service. Malpensa Express trains run from the Malpensa airport to Milan Central Station and Milan Cadorna Station. Depending on the final destination and the number of stops the train makes it takes between 29 and 46 minutes to reach the centre of Milan. The services run between 4.27 am and 00.26 am. 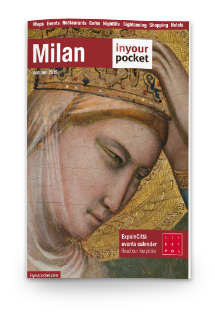 Discover the new promotion offered by MilanoCard. You can save 20% off on Malpensa Express+ MilanoCard from Terminal 1 and Terminal 2, if you purchase MilanoCard 24h + Malpensa Express, MilanoCard 48h + Malpensa Express or MilanoCard 72h + Malpensa Express. At your arrival in Milan you will be able to collect your MilanoCard just showing your train ticket (of this promotion, not any train ticket). Only on the website of Trenord, you can buy MilanoCard + Malpensa Express return with 20% off on Malpensa + MilanoCard from Terminal 1 and Terminal 2. Click here and buy MilanoCard + Malpensa Express.